The story of Rakesh Jhunjhunwala is an awe-inspiring tale of a boy from a humble household of a middle class Income Tax officer and his rise to the Forbes' List of Billionaires 2002. Born in 1960, he is a qualified Chartered Accountant and an Indian trader. The Economic Times described him as the "Pied Piper of Indian Bourses". Famous for his far-sighted nature, he has learnt each syllable of the stock market and trade right to its very core. 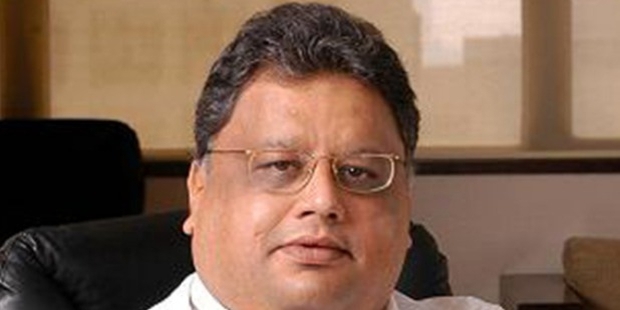 Rakesh Jhunjhunwala was born on 5th July, 1960 in Mumbai, Maharashtra. As his father was an Income Tax officer, he was interested in the rise and fall of stock prices which he used to discuss with his friends. Young Rakesh came in touch with those discussions at a very early age. It grew interest in him too. He would ask his father details about the whole stock market and how business revolved around it. Motivated from a very early age, after his completion of graduation from Sydenham College, he completed his Chartered Accountant course from the premiere Institute of Chartered Accountants of India (ICAI). 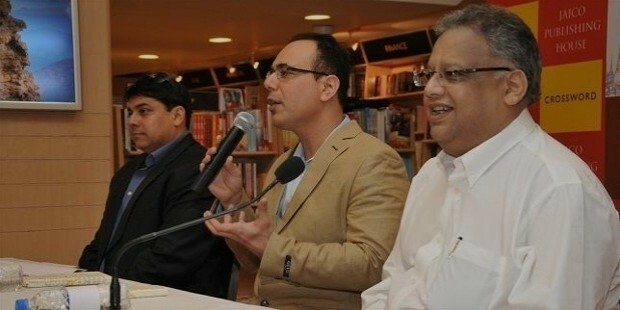 After his CA completion, Jhunjhunwala went back to the stock market in 1985 to earn and trade with his money. The BSE sensex was 150 at the inception of his career. From the very start his risk taking ability, imagination and wisdom earned him profits. In 1986, he earned his first profit of about a half million rupees and in the coming three years he earned around twenty to twenty-five lakhs. His first ever large income was from selling 5000 shares of Tata Tea which he had previously bought for Rs. 43 per share and sold them at Rs. 143. Since that profit, his even large investments in stock markets like that of Sesa Goa began. His later career was marked by his buying of six crore shares of Titan in 2003. Apart from that he is the chairman of Aptech Limited and Hungama Digital Media Entertainment Pvt. 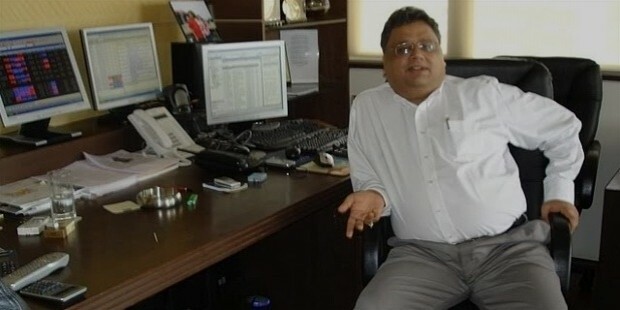 Ltd. Jhunjhunwala today manages his own money via Rare Enterprises and it was he who predicted the return of a rise in the stock market in the last year that earned him the title of 'Pied Piper'. 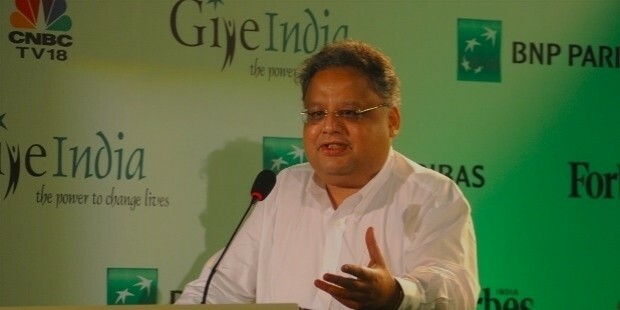 The Indian Stock Market rose by 44% in the preceding year giving way to rise in the capital of Rakesh Jhunjhunwala too. But he had his share of downfalls too. After the recession and in the subsequent years, Jhunjhunwala's stock prices fell by 30% but he recovered his losses by 2012. This continuous struggle and learning from mistakes has been his motto. He has strong belief in what he calls the power of mistakes; he’s one entrepreneur whose life is a fitting example of the fact that one has to devise ways to solve problems through experiences and life lessons. Jhunjhunwala was one of the board members of the following institutions: Bilcare Limited, Praj Industries Ltd., Provogue India Limited, Concord Biotech Limited, Innovasynth Technologies (I) Limited and many others. But he cut short his portfolio to one-third of it during the recession and loss. His intuition and vision has made him worth $2.1 billion. He even produced the Hindi feature film English Vinglish which got the Zee Cine Awards for Best film. He still manages his money via Rare Enterprises and his worth has been on the rise since his last huge losses. Jhunjhunwala is a motivating character who never stepped down to shortcuts to success and always relied upon the knowledge readily available in the market. He has immense belief and faith in India and her market. He said in an interview, "I don't think India is a poor country. We are very rich in culture, food, resources, thought and also in our film industry." 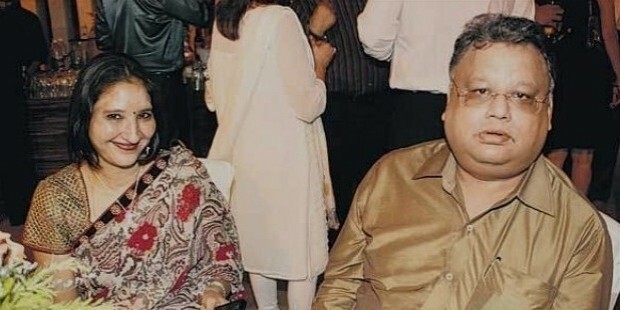 Rakesh Jhunjhunwala is married to Rekha Jhunjhunwala is a father of three children. The Forbes list of billionaires all round the world ranked him at 894 with respect to all the billionaires around the world. His knowledge and philosophy of investment has given his share holders immense profits. He is also a philanthropist and believes it is his duty to donate and it should not be done for expectation of good results.